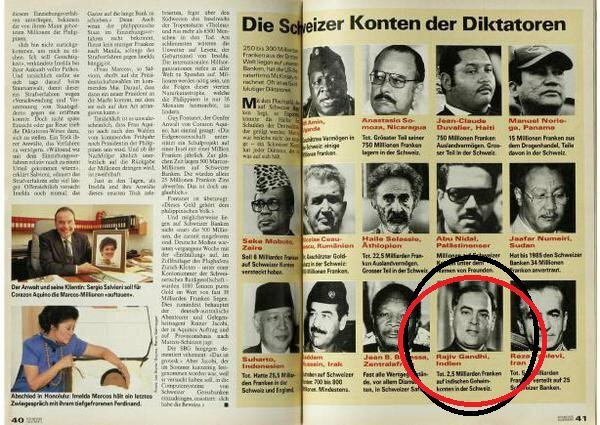 When Indians are fighting against Black Money and Black money honours, A Swiss newspaper article dated back to 1991 has given shock waves to the subcontinent by revealing some of the biggest black money owners in the world. The list is unusual as it has name of the late Indian Prime Minister, Rajiv Gandhi. 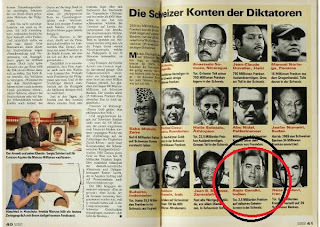 A article in a Switzerland Newspaper in 1991 exposed 10 biggest black money owners. Look who is on the list.